Heavy metals accummulate in the body, and eventually cause nerve and brain damage. The less exposure the better. You need tongkat ali to up your testosterone and keep your libido going. But you want a genuine product with no hidden heavy metals risk. At least with our tongkat ali you know what you get. We handle everything in-house, from the collection of the roots to shipping to customers. And we are cutting-edge health-concerned. We even developed a packaging that uses paper bags within plastic containers to avoid contiguity of capsules or extract powders with plastic containers becsuse most plastics can leach small amounts of chemicals with estrogenic activity. We also regularly test for heavy metals. Our 1:200 tongkat ali extract is the only genuine 1:200 on the market. It was developed by us more than 20 years ago. Anything else that prints 1:200 on bottle labels is simply fake. If you purchased something that says 1:200 from an Internet trader, let us know. You will qualify for a free sample of out genuine product. We will even pay postage. What you can buy from traders, especially in Singapore, all originates in China. It's not even genuine tongkat ali. It's some plant material laced with bootleg Viagra. Swallow at your own RISK. See below for order options and, below the order options, for photographic evidence on our tongkat ali 1:200 and other herbals. Lab results for heavy metals testing of Sumatra Pasak Bumi's tongkat ali extract. None detected. 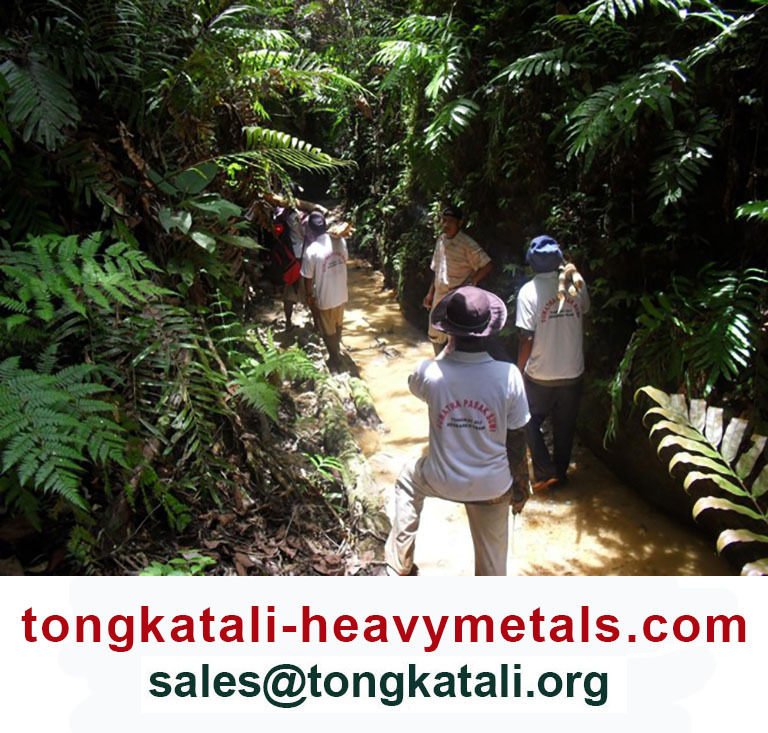 Recent lab results for heavy metals testing of Sumatra Pasak Bumi's tongkat ali extract. None detected.